Put Vaccine Exemptions at Risk! UPDATE: MARCH 3, 2015: 100,000 + SIGNERS! 55,500+ Signatures on White House Petition! Two major Vax Deadlines Approaching. We have until March 6th to sign the White House No Forced Vax Petition and we have until March 9th to comment to FDA/CDC about the new proposed Federal Adult Vaccination Master Plan* -- you can read there how even your holistic practitioners will be enlisted in the Master Plan - . Pg 21 - "3.2.1 Encourage all providers, including providers in complementary settings, to implement the NVAC Standards for Adult Immunization Practice, which include assessing patients’ vaccination status at every clinical encounter, strongly recommending (sic) needed immunizations..."
. They are not just after your children any more! YOU are now also a target for Big Pharma's toxic brews. Now's the time to act, or suffer the jab and its foreseeable consequences. You should really Click Here Now. While Natural Solutions Foundation has always supported strong public Push Back to educate decision makers, and while we've proven over and over again the Power of Push Back, we usually don't like general public petitions, such as those posted on the White House Petition web site. In general, such petitions lack any legal force as Petitions for Redress of Grievances and are ignored by politicians. On the other hand, Push Back directed to legislators by constituents can be very powerful. For our current Action Item web forms, where you can message your representatives, Click Here. .
For a list of our accomplishments using Push Back, Click Here. While we don't usually support White House Petitions, we have to make an exception for the dueling petitions on the White House site, one calling for forced vaccines, the other supporting vaccine conscientious objections and our traditional state-level medical, religious and philosophical exemptions. If the pro-health tyranny petition reaches the 100,000 mark before the pro-health freedom petition does, the White House will use the opportunity to further support vaccine mandates. If our side reaches the magic number (that triggers a White House reply) first, the Big Pharma cronies who run "public health" in the Federal Establishment will probably simply sulk back into the dark again, leaving our rights a little less threatened. In the past Natural Solutions advocates have risen to the occasion and produced millions of emails to decision makers -- a half million messages crashed the FDA comment system in 2007; in 2009 3.5 million emails stopped the Swine Flu Vax Panic; in 2010, 5 million emails kept DSHEA nutrient protections in the FDA's (sic) Food Safety Modernization Act; in 2014, hundreds of thousands of email and social media messages stopped the "Monsanto Law" seed monopoly in Chile, helping to turn the global tide against GMOs. . We need you to do it again. Millions of messages are needed to stop the Forced Vaccine Disinformation Blitz of the past few weeks. 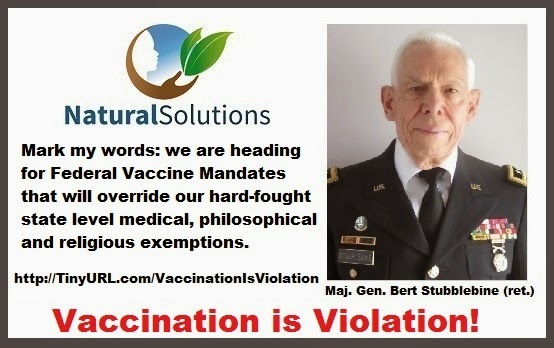 A minor outbreak of measles triggered mostly by "vaccinated carriers" is no reason to demand, as has been heard in the media of late, that we Vaccine Conscientious Objectors should be banned from commenting; doctors not sufficiently pro-vaccine should lose their licenses. We've seen homeschooled, unvaccinated children kidnapped by govt agents. UNLESS YOU ACT NOW, HEALTH TYRANNY, NOT HEALTH FREEDOM, IS YOUR FAMILY'S FUTURE. . Go here; when you finish sending your message to your legislators, governor and the president, a new page will pop up that will send you directly to the White House pro-vaccine freedom petition. It is urgent that you enter your information there too. Second, directly sign the White House Petition on the pop-up link. Among those who should know better a shockingly large group of people who call themselves "libertarians" (some of whom I've known in the movement for decades) have bought into the Big Pharma Big Govt Big Lie about Vaccination. Even Sen. Rand Paul is seen "rolling up his sleeve" to get that shot... during a mass media frenzy of vaccination indoctrination. Led by such formerly right "libertarian" publications like (sic) Reason and formerly left "libertarian" publications like The Guardian, there are increasingly shrill calls to "shun" Vaccine Conscientious Objectors or to "deny" us a hearing the the public forum. And the troops are circling around their pseudo-science of imposed "immunity." Rima Laibow MD, one of my co-trustees at Natural Solutions Foundation, and I have both found in recent days that our attempts to post rebuttals to the most outrageous lies about the alleged "safety" and "efficacy" of vaccines are being blocked, by, for example, Kos. But I digress. It's not the 16th Century. We live in enlightened times. "Everyone" knows that Comrade Stalin is always right. Lysenkoism is the only allowed biological view. Anyone who talks about "evolution" will go to the Gulag... Oh, sorry, digressing again. Now I'm in Vienna in the 19th Century, at the grave of Dr. Ignaz Philipp Semmelweis, hounded to suicide by the medical authorities who knew, scientifically, that physicians do not need to wash their hands between the dissecting table and the birthing room. Anyone who says otherwise must be shunned until they just... die. Oh my. Back again here in the ever more enlightened 21st Century. When crony "scientists" revolve from the crony corporations to the crony universities to the crony "public health" agencies we are expected to believe in their disinterested scientism. Ignore that government claims the power to lie to us for any or no reason. Ignore that Big Pharma provides 80% of the FDA/CDC budget. Ignore all those high paying, cushy jobs they expect to get. Just believe that they will tell the truth. Ignore the 98,000,000 doses of Polio Vaccine that were pushed onto Americans and Europeans, AFTER the scientists knew that a potentially dangerous Monkey Virus somehow had ended up in the Vaccine. Nothing to be concerned about... even as the cancer rates started to nudge up some more. Or, if you are like Andrew Wakefield, MD, a respected gastrointestinal expert and you notice the connection between vaccines and diseases of the gut, and publish about it, be prepared to be destroyed. And, even after Dr. Wakefield was vindicated (it turns out that it was a crony Murdock (a Merck director) shill "journalist" who faked the records to "prove" Dr. Wakefield's citations (sic) "fraudulent" who was the culprit, and although the rag he worked for was shut down, his lies are continually repeated by people who don't take the time to learn what really happened. They just trust the cronies. They trust the govt. They pretend to be "libertarians." The truth is that there is no valid "vaccine science" that is not tainted by crony corporatism. The truth is that there is no free market in vaccines. The truth is that in a libertarian society the vax drug pushers would be the same uninsurable risk that they are in this statist society, but they couldn't use the force of the state to impose their fake science and use their Congress to take away from us our right to redress for the foreseeable harms of vaccination. Listen up, so-called "libertarians" who want the force of the state to make us shoot toxins into our children. Very few of you have children of your own. I know. Very few of you have ever dealt with Amish or homeschooled children who are not vaccinated. You haven't really ever seen clear-eyed, clear-minded children not injured by vaccination and govt schools. You don't really understand what it means to be a parent is you think we'd risk our children based on your trust in crony "science." You state you believe that we have self-ownership, but you are willing to compromise when the govt tells you that there is an epidemic. You sanction the use of its militarized police to force vaccinations. You parrot all the disreputable statist arguments for forcing people to do or not do this or that. You hide behind your belief in the trustworthiness of govt "public health". Yet that same system approves dangerous drugs that, by some estimates, kill over 750.000 Americans every year when properly prescribed and used. You fail to see how you are being used to further the globalist elite's depopulation agenda. Apparently even some "libertarians" can be useful idiots for global tyranny. Right now Dr. Rima is reading a paper at an All India Congress on Medical Education entitled "Regulation and Results" about how the crony system of "health care" devastates health, using vaccination as the example. See her lecture: http://tinyurl.com/DrRimaIndiaPaper. This is politically important because India is a major target of the depopulationists. One example from Dr. Rima's Paper, after a huge and expensive Polio Vax Campaign India was declared "Polio Free." Only one problem, instead of a few thousand cases of Polio a year, there are now over 50,000 cases annually of "Non-Polio Paralysis" - a new disease that only seems to afflict the vaccinated. The science is not settled. Claims by govt and its crony corporations should be viewed with great skepticism. Claims by alleged libertarians that it is somehow acceptable to use the force of the state to make people undergo medical interventions against their beliefs and will is nothing less than intellectual thuggery. It violates the Helsinki Declaration on Medical Experimentation. When that belief in the safety and efficacy of coerced vaccination results in mass infertility, chronic disease and death the proponents are, to paraphrase Lysandor Spooner, nothing less than tyrants and murderers. A group of health freedom advocates and I have been communicating about the current mass propaganda push for mandated vaccines. They are copied on this note. We need your help. Dr. Rima (with General Bert) is in India right now, learning about Ayurvedic Natural Solutions and about to present a paper to the All India Medical Congress entitled "Regulation and Results" which will expose the dangerous lies of the vax pushers, describing in detail how vax toxins harm millions, literally killing more than they theoretically "save." Her presentation is February 8th and we will release her powerful paper then. With even Rand Paul and John Stossel making odd sounds about "government's role in promoting vaccination..." you may be the last voice of sanity in the mass media. With newspapers like USA Today calling for jail for vaccine resistors, and allegedly pro-free speech publications like Reason and The Guardian calling for blocking vaccine refusers' access to the media, the public is hearing only the drum-beat for forced vaccines. This would be a real disaster, leading to more chronic illness and mass infertility (maybe the globalist elite's core goal?). Dr. Rima's paper shows that children who are exposed, naturally, to the self-limiting childhood diseases have stronger immune systems and less chronic disease later in life. 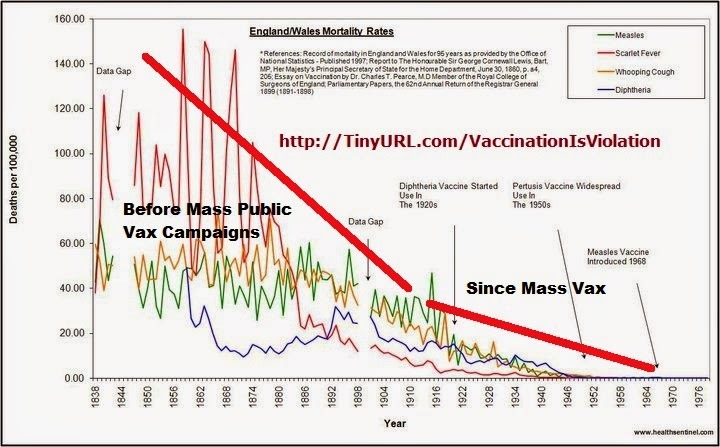 The facts are clear, for anyone without a special interest to plead, hygiene and nutrition ended the pandemic diseases, not mass public vaccination. But in addition to the question of safety, we need to address the question of legality. "If the First Amendment means anything, it means that regulating speech must be a last - not first - resort. *** We have previously rejected the notion that the Government has an interest in preventing the dissemination of truthful commercial information in order to prevent members of the public from making bad decisions with the information. *** Even if the Government did argue that it had an interest in preventing misleading advertisements, this interest could be satisfied by the far less restrictive alternative of requiring ... a warning ..."
Congress adopted the National Vaccine Injury Compensation Program (42 U.S.C. § 300aa-10 et seq.) precisely because vaccines do cause harm and are uninsurable. The legal maxim, “No harm without a remedy” applies here and the Supreme Court in Jacobson instructs that it is not to be understood to be holding “that the judiciary would not be competent to interfere and protect the health and life of the individual concerned.” Approval of any drug (including a vaccine) by Federal Authority is now a necessary prerequisite for that drug to be lawfully available to the public in commerce. Such approval is a necessary prerequisite for any state mandate for the forced use of any such drug, since Jacobson holds that the courts should intervene if there is "reasonable certainty" that a person is "unfit" for inoculation since the procedure would "seriously impair... health..." Without the statutorily required showing of safety, we cannot have any reasonable certainty, thus no mandate can lawfully issue. But none of these medical, philosophical or legal issues are being heard. 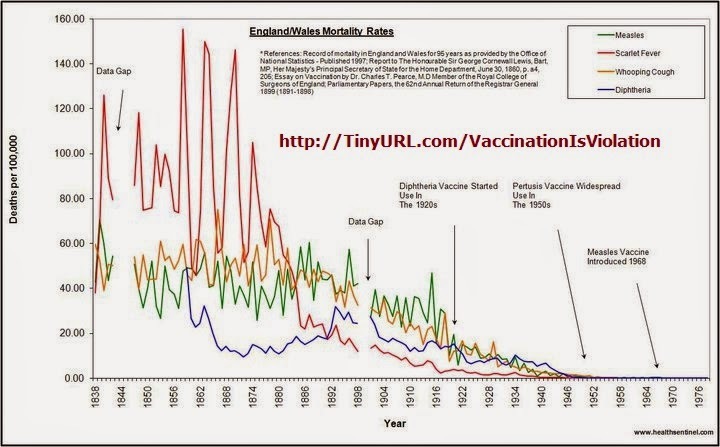 Only the propaganda for mass, forced vaccination is being parroted by all the media, CNBC and Fox like. Only pro-vax voices are being heard, in a unanimous chorus led by the likes of Hillary Clinton but sadly joined by people who should know better, like John Stossel and Dr. Rand Paul! All of the people who are receiving this email are very knowledgeable about vaccination. 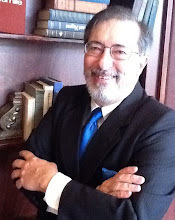 We are each available for media interviews, and many of us live in the NYC area. Please let us know how we can help you bring the news of our dissenting voices to the media.